Here's your first official comment then!! And dont go calling yourself a loser just yet! I will agree with u on the fact that you could have enjoyed your school life more, but then maybe the rest of us could have taken your advice and studied harder in return as well. No one is innocent! So cheer up already.......we've all been through this damn phase, and now its time to appreciate what we've achieved...so chill out, and keep blogging !! Thanks for that wonderful uplifting words of yours..
You are the one who inspired me to start blogging and I'm really glad that you gave such a grand comment!! Dude Im also in SCT!! !my bro was there too dude!!! 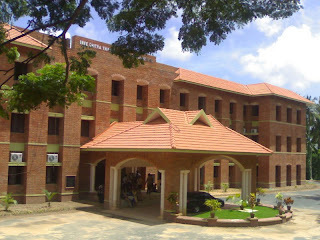 n its a totally kickass college!!! Screw the ground thing dude!!! They used to play at the poojapura ground!! n the best thing abt the college has to be the fests dude! !Every frikkin branch wud hav a fest of their own! !Then the parties also have fests!! Its a frikkin awesome college dude! !